As we are closing out 2015, and pressing forward into 2016, I found an article presenting verses for the new year. I particularly liked the two verses and commentary I included below from the article because they talk about having confidence moving forward when we are waiting God’s will, and also about having confidence in those times of testing, to know that God will be there to help us in time of need. This verse is not intended as justification for any careless decision that we make. But it does speak about God’s love for us and His desire for us to enjoy ourselves. If you’ve made a new year’s resolution or life decision in prayer and in keeping with God’s Word, then according to this verse, you now have permission to relax and enjoy the results of your new decision. Sometimes a new year or a new beginning may not arrive with feelings of joy or excitement. 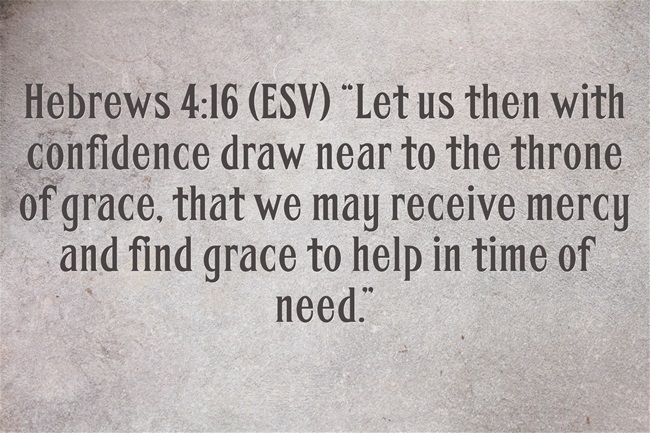 But this verse is an important reminder that we can come to God with any need, and we will receive His help. If you’re facing a difficult decision or an uncomfortable transition, come boldly to God’s throne and receive His grace and love.